The incident happened at 6pm this evening. TWO MEN HAVE been arrested in the north inner city this evening after gardaí discovered a cache of explosives hidden in a van. Members of the Emergency Response Unit pulled over a van on Spring Garden Street in Ballybough at around 6pm this evening. 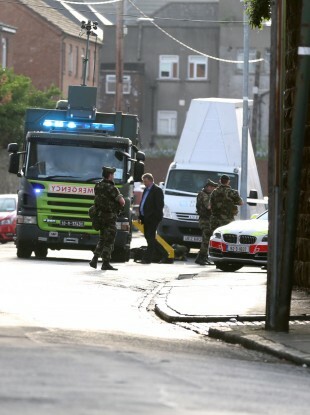 A spokeswoman for gardaí said: “As part of an ongoing operation into dissident republican activity, gardaí stopped and searched a vehicle on Spring Garden Street, Ballybough in the inner city. The Defence Forces have arrived on scene and are currently dealing with the explosives. Email “Part of Dublin's north inner city shut down after gardaí discover plastic explosives in van”. Feedback on “Part of Dublin's north inner city shut down after gardaí discover plastic explosives in van”.